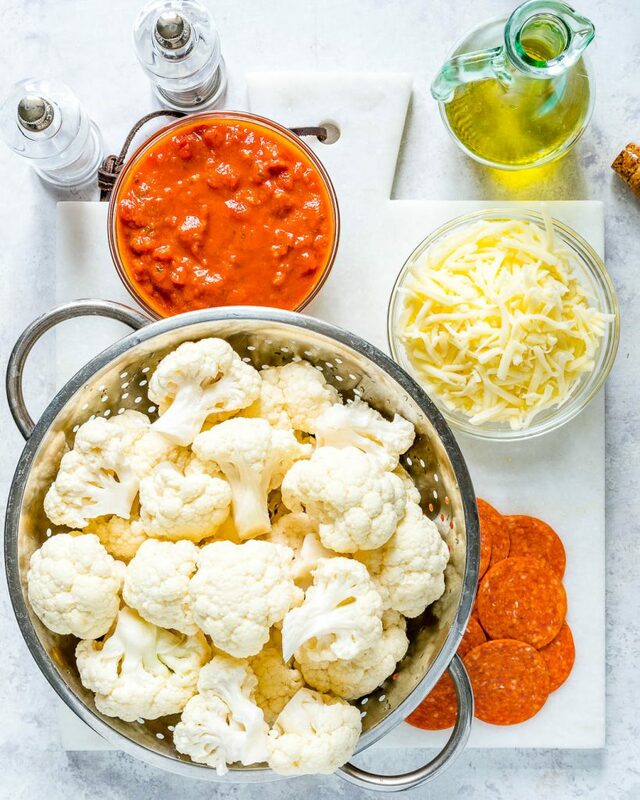 In a large bowl, combine cauliflower with marinara, garlic powder, oregano and chili flakes. Toss until fully coated then season with sea salt and pepper. 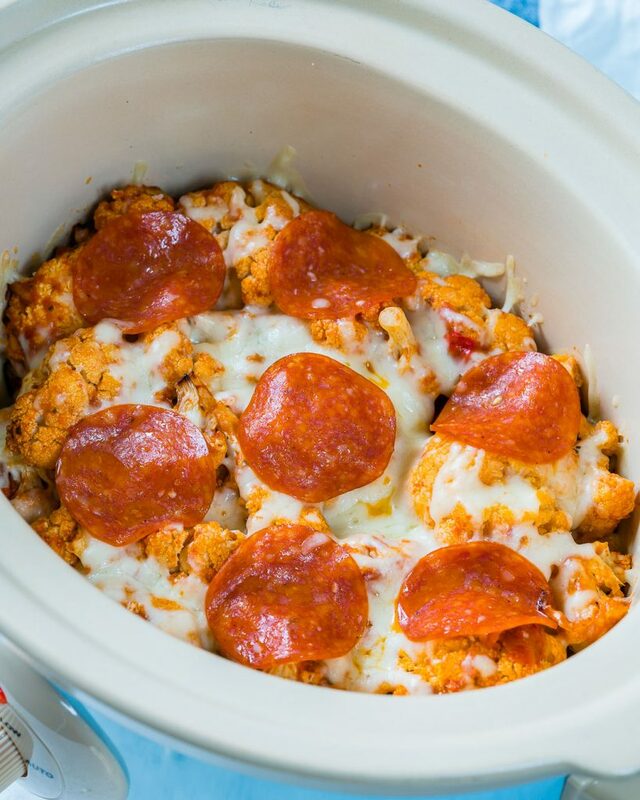 Place half the cauliflower in the bowl of your slow cooker, and top with half of the mozzarella and pepperoni. 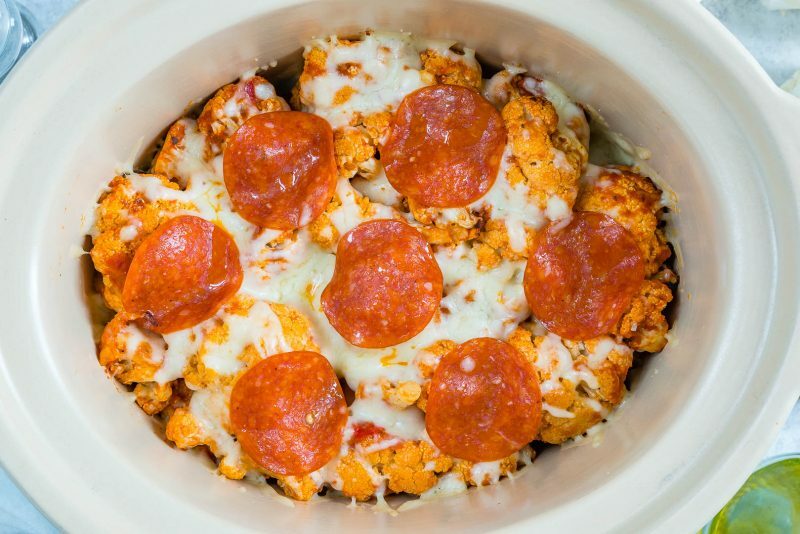 Add the rest of your cauliflower and repeat the topping process. 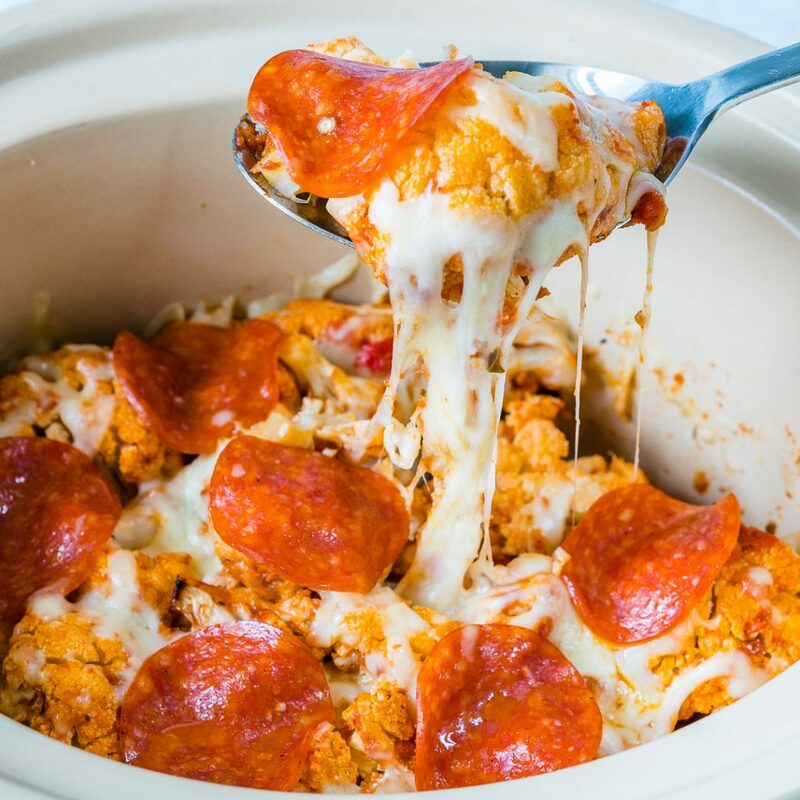 Cook on low for about 5 hours or on HIGH for 3 hours.